Can we finally retire the overpriced TI-84 calculator? Cracks in the TI-84 calculator monopoly? A glimmer of hope has arrived for parents tired of having to buy their high school students an overpriced calculator. Smarter Balanced, which administers school proficiency tests in 15 states, is building a digital calculator into its tests this spring. Students won't have to rely on Texas Instruments graphing calculators, a de facto standard in high school math classes, in spite of their hefty price tag. "We try and make sure every kid has a level playing field," Smarter Balanced Assessment Consortium executive director Tony Alpert said. "We want to try and minimize that some students may not have access to the calculator -- by virtue of their schools doesn't offer them -- or their family isn't able to afford them." 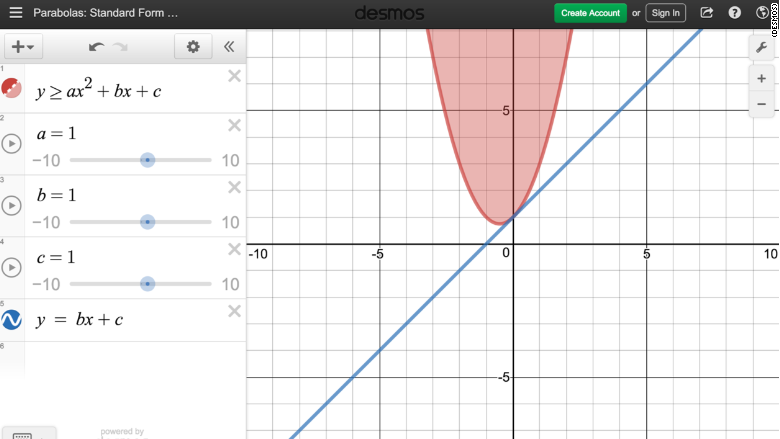 Smarter Balanced will use a digital graphing calculator from the startup Desmos. CEO Eli Luberoff previously tutored high school students, and was shocked to find them using the same graphing calculator that he had used in high school. "We don't think students should have to buy an old, underpowered, overpriced calculator," Luberoff told CNN. In a statement, Texas Instruments (TXN) described its calculators as a one-time investment that can take a student from middle school to college and into their career. Texas Instruments also noted that digital calculators required schools to invest in Internet access. "TI calculators continue to be trusted on 60 high-stakes exams around the world -- including the SAT, ACT, AP and IB exams," said Peter Balyta, president, education technology at Texas Instruments. Using a digital calculator does more than save money, it also allows more nuance in how testing is conducted. The calculator can be made available to a student on one specific question, but then removed for the next one. That's not a realistic option with a traditional graphing calculator that rests on a student's desk the entire time. "If our goal is to measure students' ability to compute algebraic functions, to actually engage in math, then we don't necessarily want them to use a calculator," Luberoff said. "If we're asking students to engage in data analysis and problem solving -- where we're testing more of their process skills and not their content knowledge -- then we absolutely encourage the use of a calculator." The bestselling TI-84 Plus graphing calculator generally retails for between $90 and $120, which hasn't changed since its 2004 debut. The calculator is woefully under-equipped when compared with similarly priced electronics. For example, a TI-84 Plus and Kindle Paperwhite both sell for $99.99 on Amazon.com. The Kindle's screen is far larger and higher in resolution. It has 4 GB of memory, which blows away the storage capabilities of the TI-84. The Kindle also connects to WiFi, while the Texas Instruments graphing calculator doesn't. The Kindle Paperwhite includes a rechargeable battery, whereas the TI-84 Plus requires four AAAs. 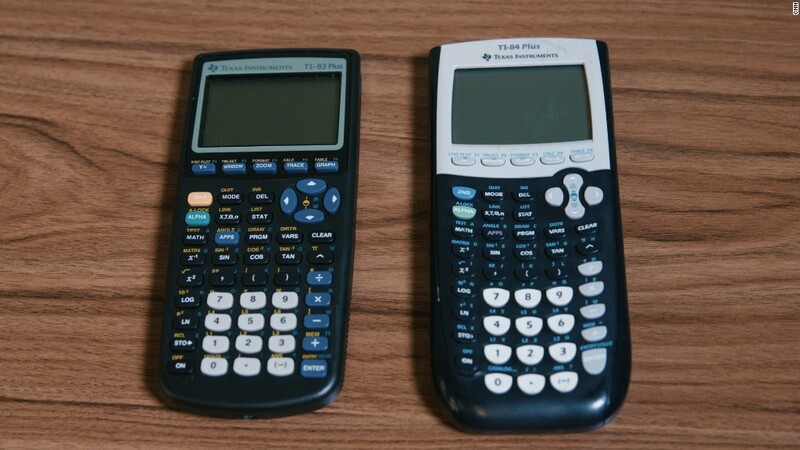 Texas Instruments calculators became the standard in classrooms years ago, and haven't lost their position. While there are free graphing calculator options for smartphones and online, schools generally haven't embraced them. While Desmos' graphing calculator has made inroads, it's a long way from unseating Texas Instruments. The calculators are still a must-have for most classes and tests, including the SAT and ACT. Graphing calculator sales by unit have grown by 3.7% and 1.6% in the past two years, according to the research firm NPD. But when measured in dollars, they have leveled off. In the most recent year, sales grew by 0.4%. The year before they declined by 1.4%. Desmos and alternatives may be slowly chipping away at the dominant Texas Instruments, but there's still a long way to go.